Dr Philip Andersen is a lifelong resident of Center Point. He did his undergraduate studies at Coe College in Cedar Rapids and received his dental degree at the University Of Iowa College Of Dentistry. He is proud to continue the tradition of care established by his father, Dr. Kenneth Andersen, who practiced medicine in Center Point for 50 years, beginning in 1951. 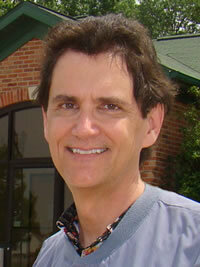 In 2002 he relocated his dental practice to its current location after outgrowing his original office. We are proud of our new state-of-the-art facility, which makes it easier to offer cutting edge dentistry in comfortable pleasant surroundings. Dr Andersen is a member of the American Dental Association, Linn County Dental Society, and the Academy of General Dentistry. Dr. Andersen's outside interests include antique cars (he has a 1928 Chevrolet), camping, photography, as well as the history of Center Point. This love of history is reflected in the many historic photographs that he has hanging on the walls of his office. An additional interest that Dr. Andersen has is in raising exotic chickens. Because of this interest, which started when he was a child, he built a chicken pen behind his office. This pen is constructed so that patients can view the exotic poultry from any of the doctors' treatment rooms. How many dental offices can offer such a relaxing distraction as well as free farm fresh eggs? Dr. Andersen and his wife have two daughters and one son. Dr. Terra Hickey grew up in Cedar Rapids where she graduated from Jefferson high school and Coe College. 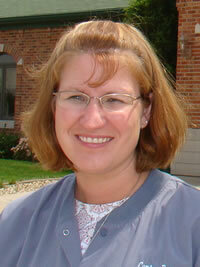 She earned her dental degree at the University of Iowa and joined the practice in 2000. She is a member of the American Dental Association and the Linn County Dental Society. Dr. Hickey and her husband have resided in Center Point since 2000. They have found Center Point's small-town, friendly atmosphere to be perfect for raising their son and daughter, as well as their English bulldog. Dr. Hickey's other interests include attending local hockey games and spending time outdoors, especially boating with the family.